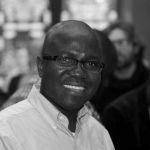 Wisdom Akpalu is a Research Fellow, performing research collaboration with the University of Ghana, Accra. He is a US citizen and obtained his PhD degree in Economics from the Gothenburg University, Sweden. He has worked as Associate Professor of Economics at the State University of New York, Farmingdale, New York. His research interests are Development economics, Modeling microeconomic behavior, empirical econometric analysis, optimal extraction of natural resources, and economics of climate change. Akpalu, Wisdom, Christian, Aaron K. and Codjoe, Samuel Nii Ardey (2015). Does Food Insecurity Impact Subjective Evaluation of Well-being? Evidence From a Developing Country. UNU-WIDER. Akpalu, Wisdom, Muchapondwa, Edwin, Adidoye, Babatunde and Simbanegavi, Witness (2015). Public disclosure for pollution abatement : African decision-makers in a PROPER public good experiment. UNU-WIDER. Akpalu, Wisdom and Bezabih, Mintewab (2014). Tenure Insecurity, Climate Variability, and Renting-Out Decisions Among Female Smallholder Farmers in Ethiopia. UNU-WIDER. Akpalu, Wisdom and Zhang, Xu (2014). Fast-Food Consumption and Child Body Mass Index in China : Application of an Endogenous Switching Regression Model. UNU-WIDER. Akpalu, Wisdom, Dasmani, Isaac and Normanyo, Ametefee K. (2013). Optimum Fisheries Management Under Climate Variability : Evidence from Artisanal Marine Fishing in Ghana. UNU-WIDER. Akpalu, Wisdom (2013). Foreign Aid and Sustainable Fisheries Management in Sub-Saharan Africa. UNU-WIDER.